Great house & lot in subdivision is now available! Features & upgrades not found in new construction. Only listing in neighborhood w/granite counters & large yard. 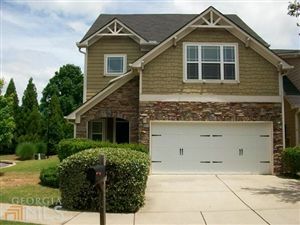 This 3 bedroom, 2.5 bathroom home has an open floor plan, wood floors, surround sound with speakers (even in garage! ), extra storage in attic & under stairs. Enjoy mountain views from the master bedroom with sitting area. Large master bath with separate garden tub & shower, walk-in closet. 2nd bedroom has a private access to bathroom. Large lot in cul-de-sac near pool & playground. HOA fee includes lawn maintenance & trash pickup. O DOWN FINANCING. Close to 400 & shopping.